Ali Pearson used to be a bad girl. She spent her college years off the rails. She played hard, drank hard and loved hard. When Ali got a last chance to turn her around life, she took it. 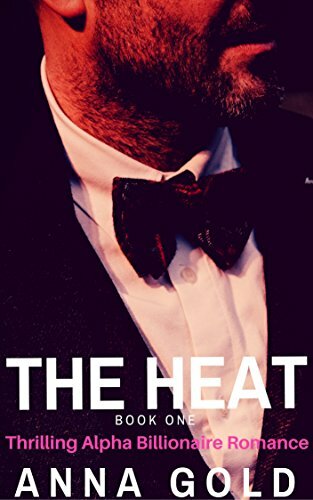 But when Ali comes face to face with the college's new wealthy benefactor, billionaire businessman Sebastian Clements, she is fascinated and deeply attracted to him. She knows it's wrong. She knows it's dangerous. But Ali is soon ready to risk it all for pure hot passion. Sebastian Clements is a man used to power. He knows what he wants and how to get it. When Sebastian sees Ali for the first time, it sparks a fire of desire which might consume them both. Ali gets an opportunity to learn about the infamous billionaire. An opportunity she deeply wants, but might deeply regret. Because Sebastian Clements has much more than passion in mind... The Heat of temptation is back in Ali's life. The lure of danger is calling. But this danger is about more than passion. Sebastian Clements is not what he seems. He has a dark secret...and it involves the people and places dear to Ali's heart.